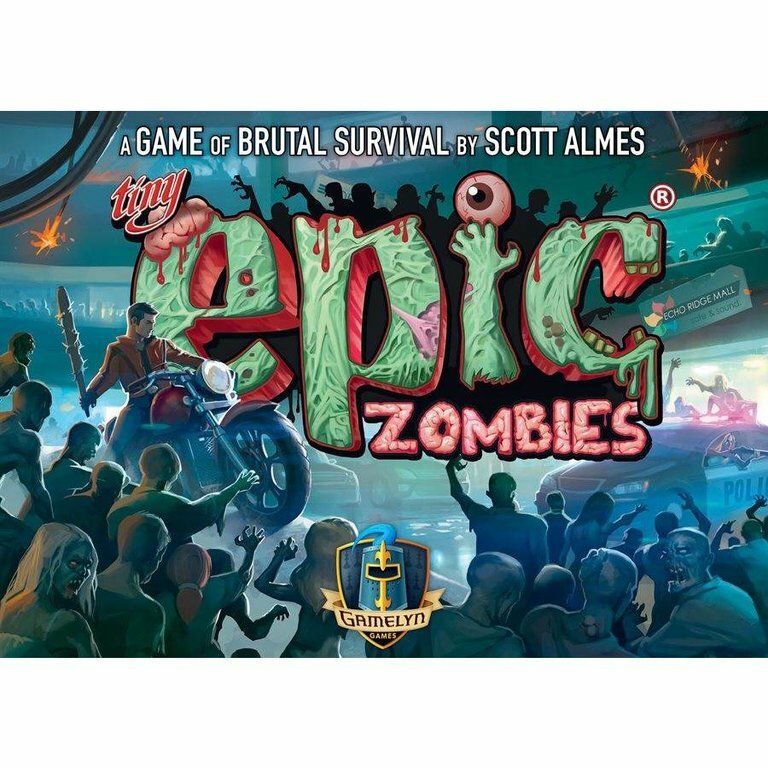 Play as hopeful survivors, or play as the Zombies, in this fast-paced game of brutal survival. 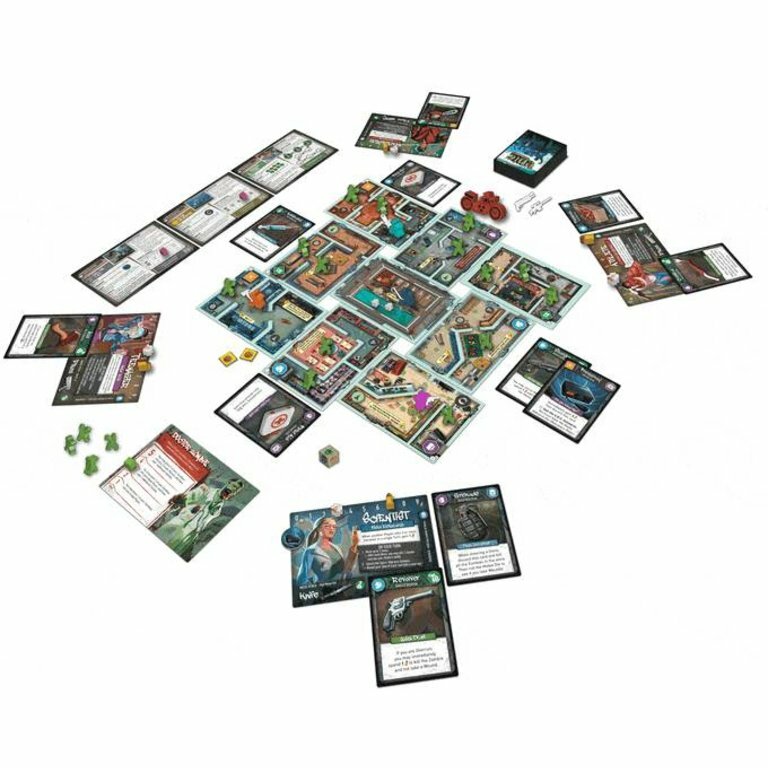 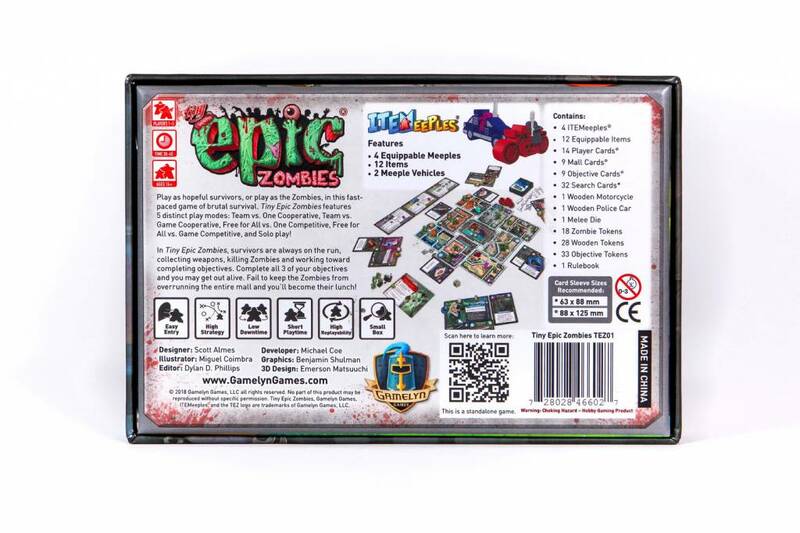 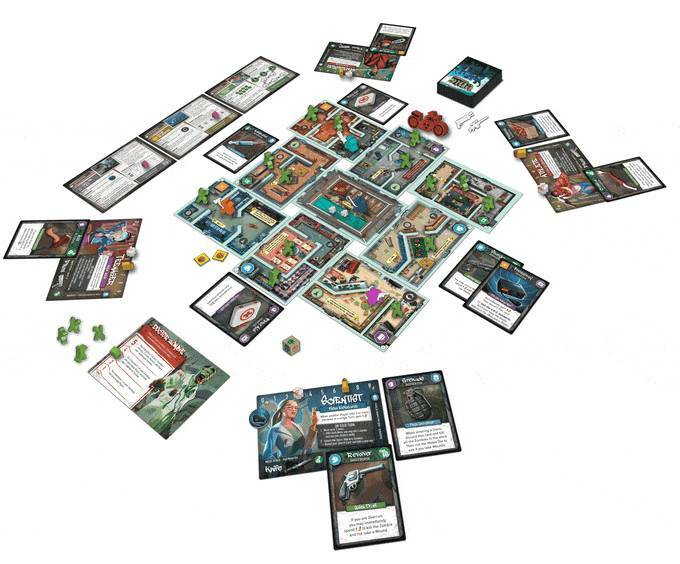 Tiny Epic Zombies features 5 distinct play modes: Team vs. One Cooperative, Team vs. Game Cooperative, Free for All vs. One Competitive, Free for All vs. Game Competitive, and Solo play! 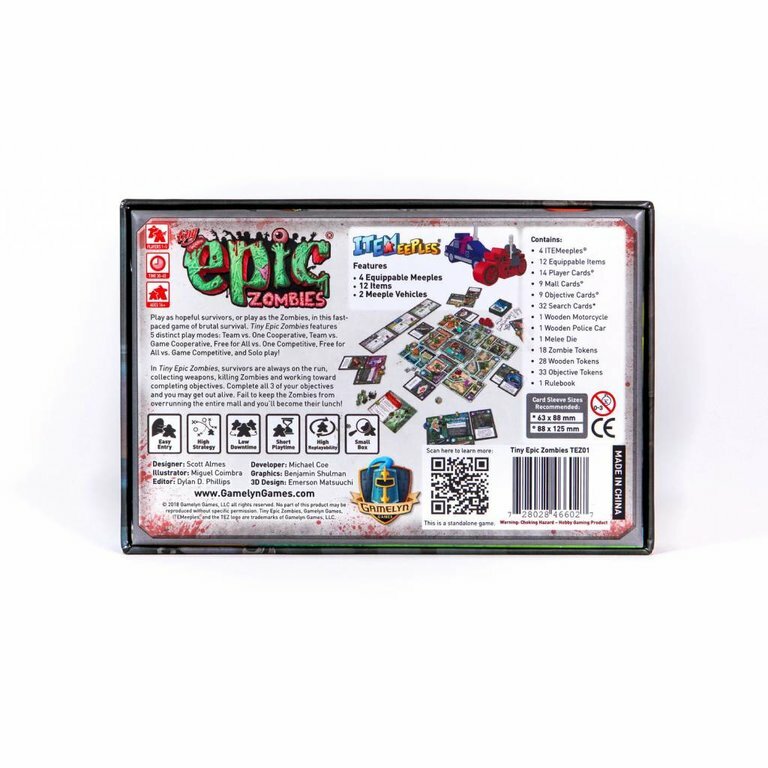 In Tiny Epic Zombies, survivors are always on the run, Collecting weapons, killing Zombies and working toward completing objectives. 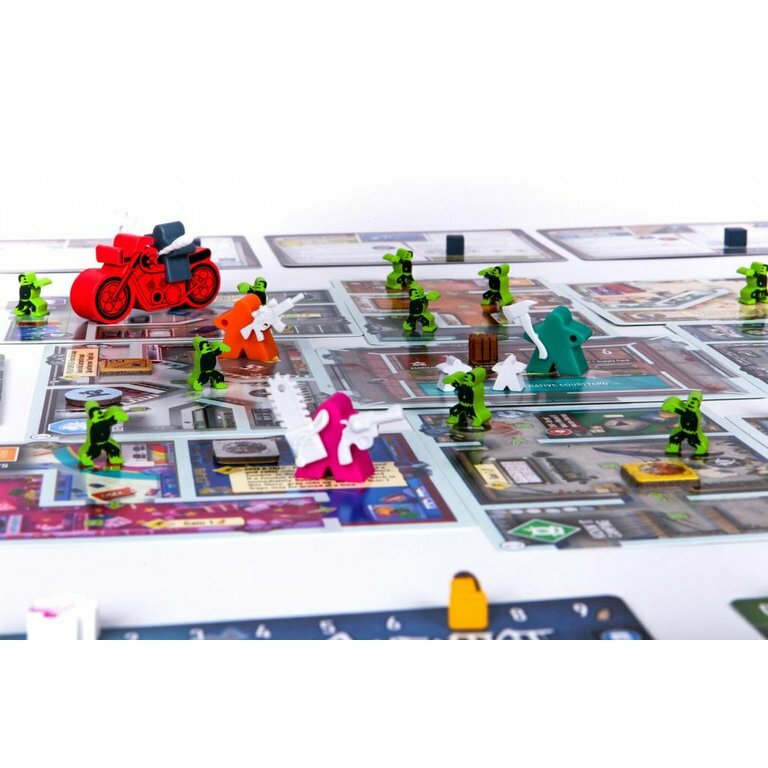 Complete all 3 of your objectives and you may get out alive. 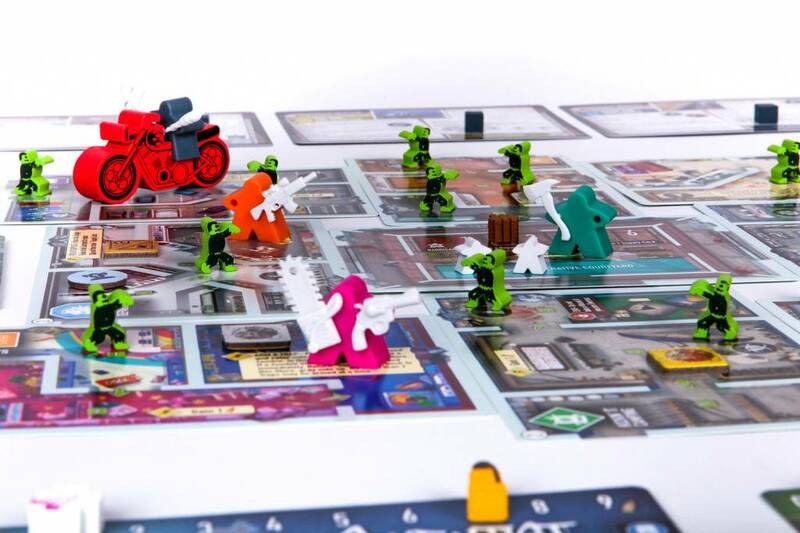 Fail to keep the Zombies from overrunning the entire mall and you'll become their lunch.